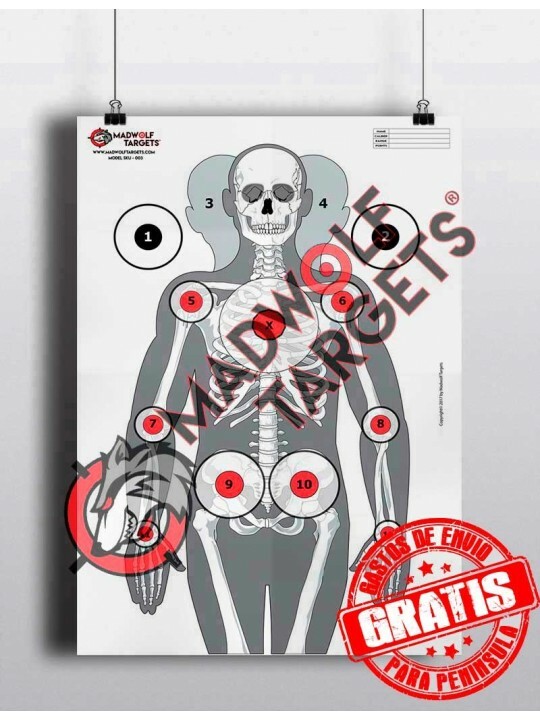 Realistic police and military shooting paper target. 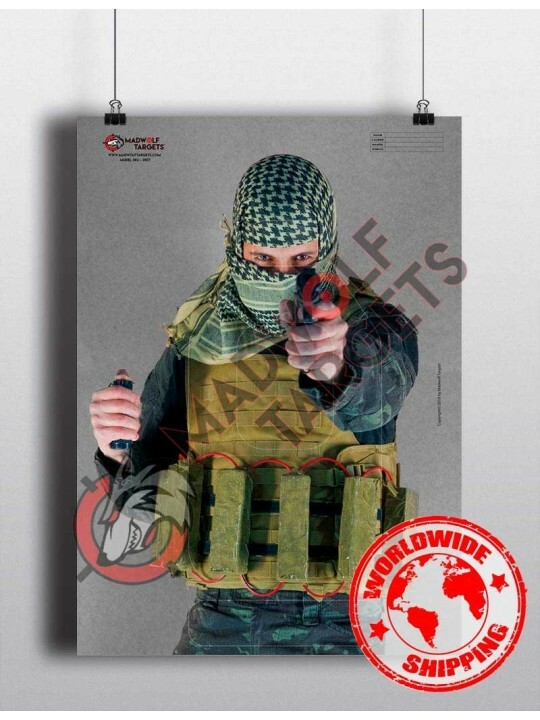 Suicide terrorist jihadist of ISIS. Law enforcement agencies are faced with situations that require skill in the use of firearms. 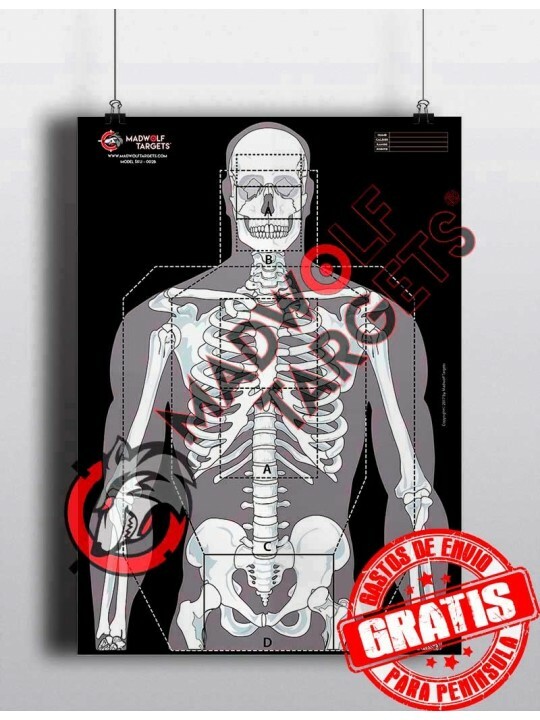 The realistic police shooting silhouettes from Madwolf Targets are designed to simulate real life terrorist attacks with knives, weapons, vehicles driving over pedestrians or immolation involving the Police, Gendarmerie, Polizei, Carabinieri, Polisen or Military. 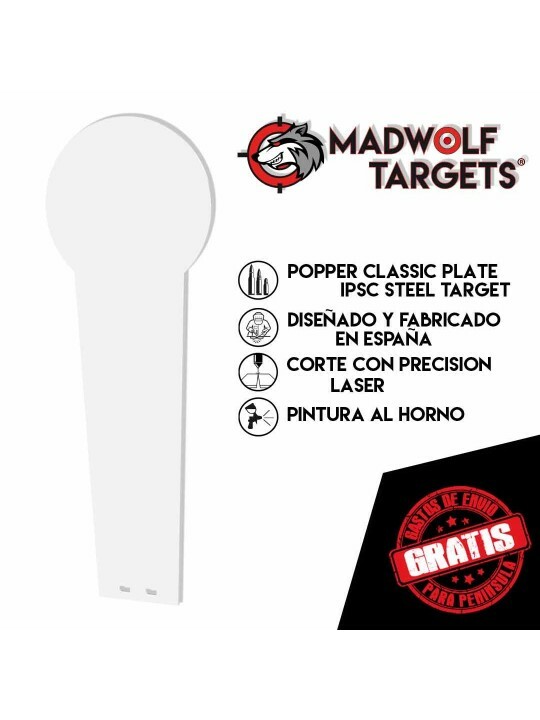 Shows markers, impact zones or center of masses. 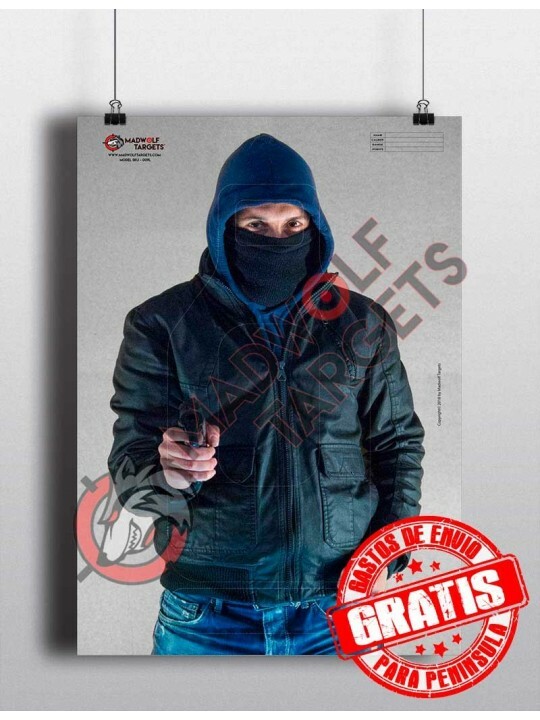 Silhouette for police and military made in full color on grey background for long distance reconnaissance. 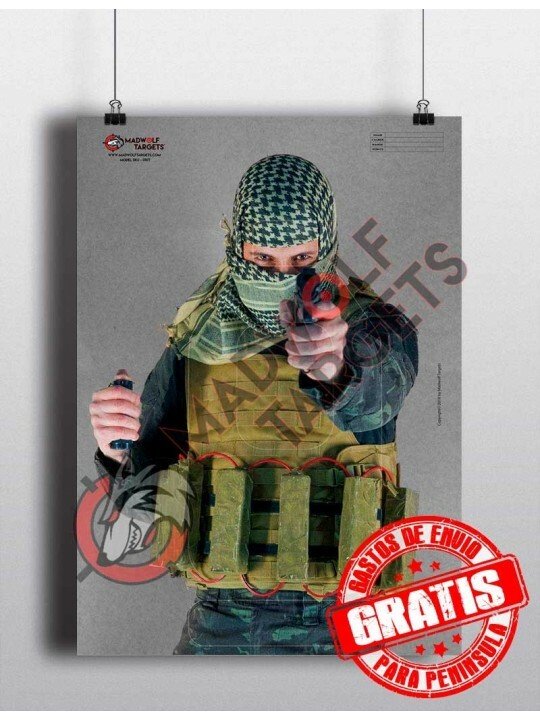 Perfect for indoor use in shooting galleries with low light or outdoor conditions. 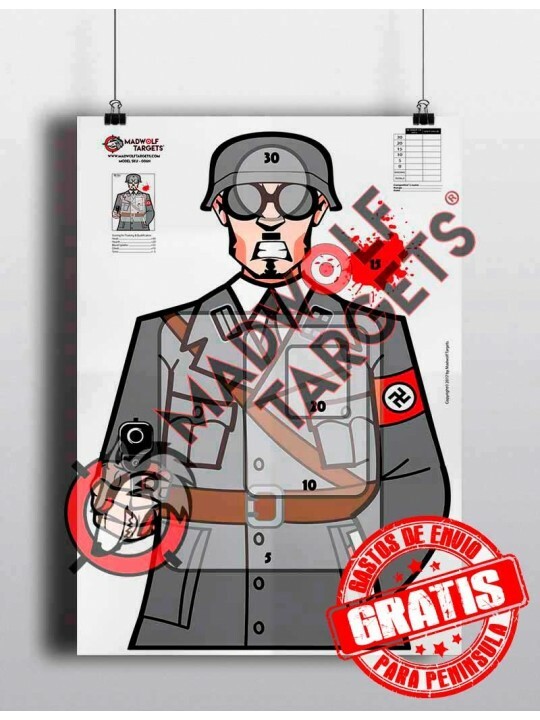 MADWOLF TARGETS SKU-006N German Soldier WW2 WWII NAZI Paper Targets are a inexpensive and versatile target. 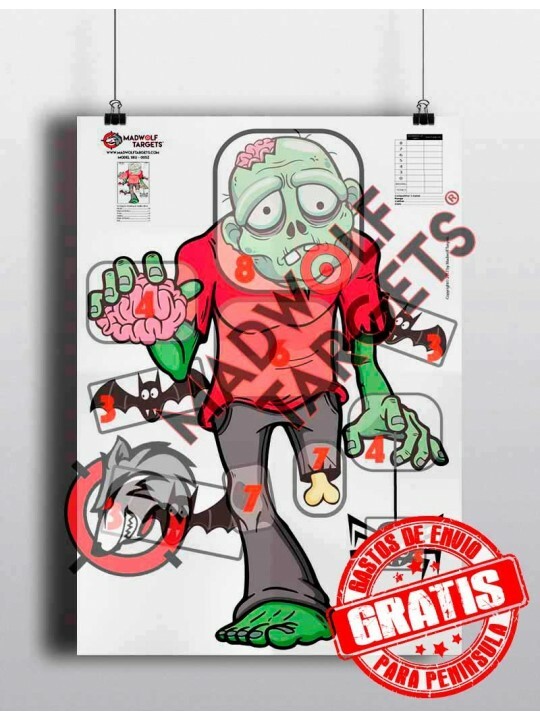 Markers with impact zones, gravity and center mass zones (vital organs). 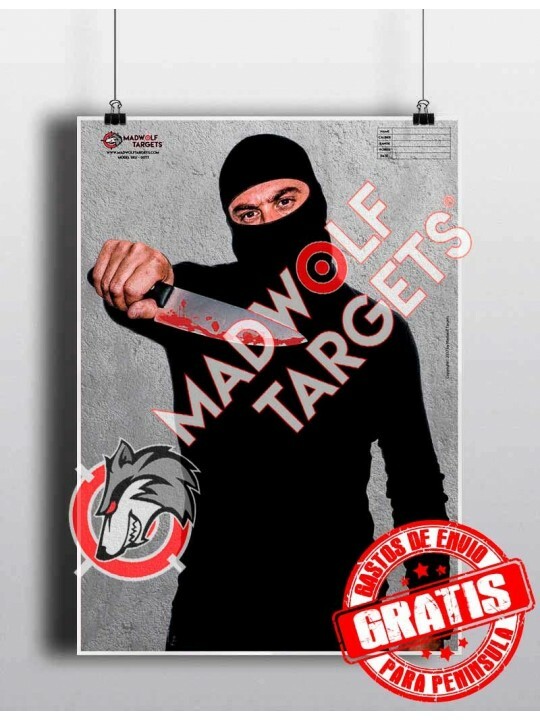 Paper target for a different training. Practising your shooting in a different way! 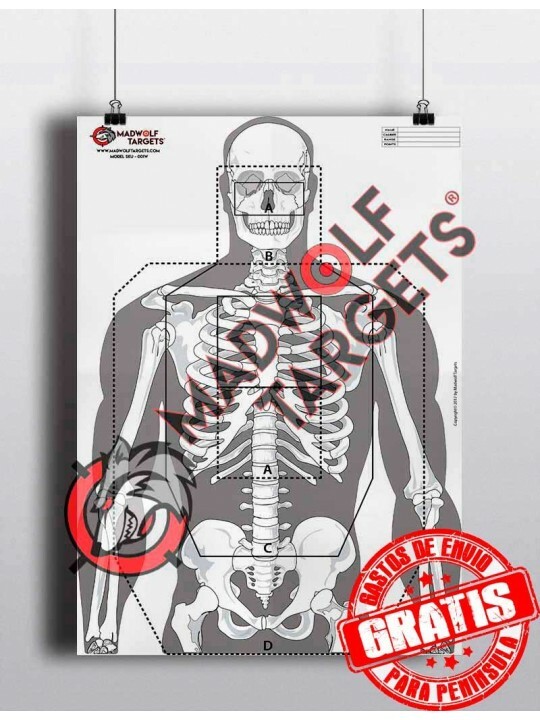 MADWOLF TARGETS SKU-004 paper targets are a inexpensive and versatile target. 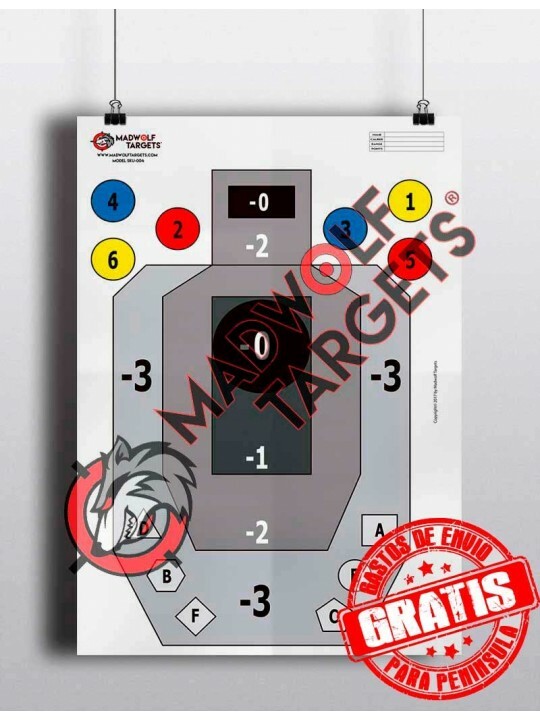 Paper target for competition at official measurements and scoring zones at course of fire IPSC U.S.A.